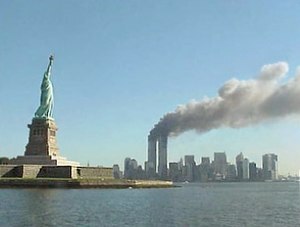 On the day of September 11, it’s hard to believe that the world manages to cope and move forward. This was an event that decimated our economy, reshaped our values as a family and as a country. This event has humbled us, one of the strongest leading nations. This event has made us reconsider what it means to be an American–an individual liberated by human rights from the very founding of our country. As much as this day had devastated our country, hope remained. Hope remained in our brave firefighters and police officers who risked their lives to save others. Hope remained in the streets when people opened their arms to give shelter to those from the World Trade Center who were just trying to get home. Today, hope still remains for America as we remember this day and honor the armed forces, our veterans, and the loved ones passed away. As the world keeps moving and we keep changing, we have a responsibility to always remember and never forget.